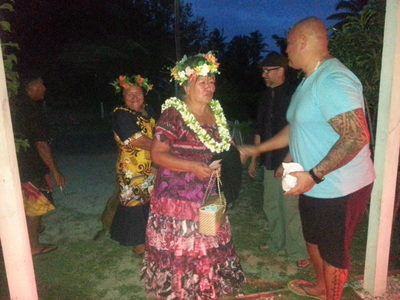 The Celebration of Cook Islands and Pacific Film and Film Makers. IN 2015 the first Koko Nati Film Festival was held in a Packing Shed in Matavera. Motone bought this project to the community with the support of local and regional film makers sharing their films with us and from the visionary support of the Cook Islands National Council of Women who in 2014 had produced and released their own short film “ The Island Night” written and directed by Apii Napa. This film featured as part of our opening night package which also included the internationally successful Aitutaki film “Footsteps” and Karin Williams tribute to one of the Cook Islands iconic songs “Mou Piri” by legendary composer Jon Jonasson . The festival has been designed to show our emerging and established film makers and provide a regular platform for our films and stories to be presented alongside other films of the region. 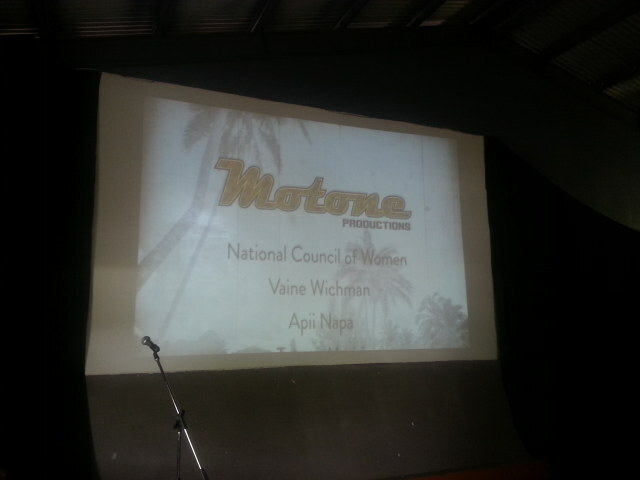 Thanks to Wairoa Film Festival and Te Nati Film festival for providing us with access to the short films of New Zealand and Tahiti. 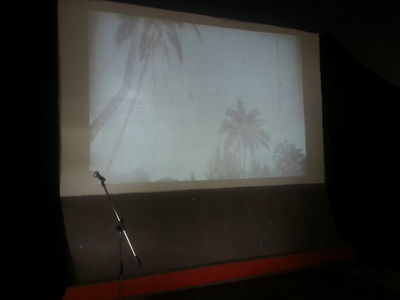 We programmed each screening to cluster the short films together providing a range of films under set themes. 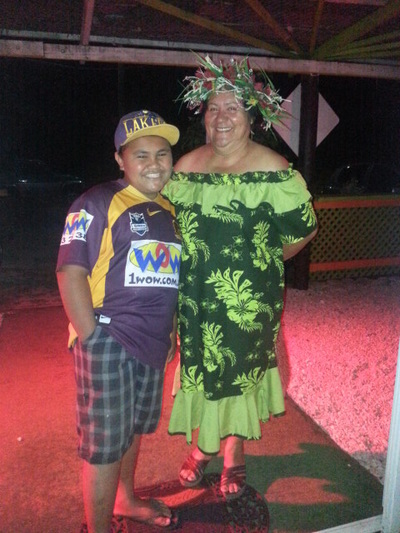 Through the support of the Cook Islands National Council of Women we also have a small cluster of youth films from students at Tereora College –our up and coming film makers. 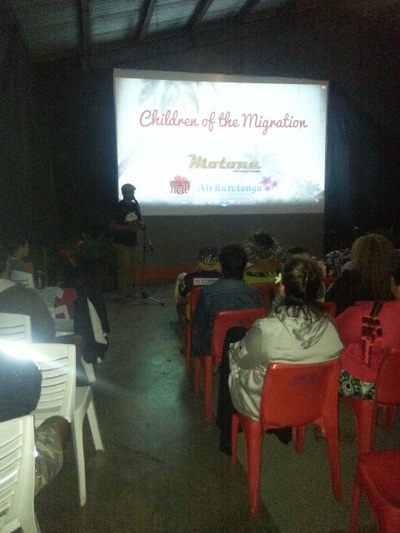 We were proud to show films from Aitutaki and documentaries that not only promote the creative skills of our people but will enlighten many to the stories and ideas that surround us. 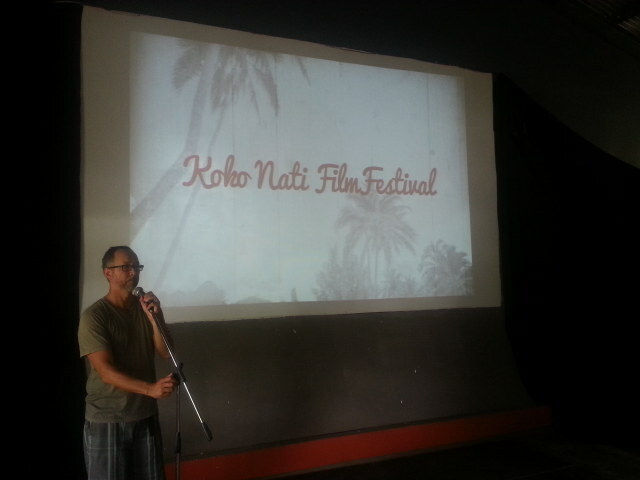 We share this with you in hope of making this film festival a regular event on the annual creative calendar of the Cook Islands. We support our community in film, story telling and the creative industries. - Artistic expression is ours to build and nurture. Film festival Venue: Kokonati Cafe in Matavera. Situated on the Mountain side of the main road Kokonati cafe is a old packing shed converted into a cafe. 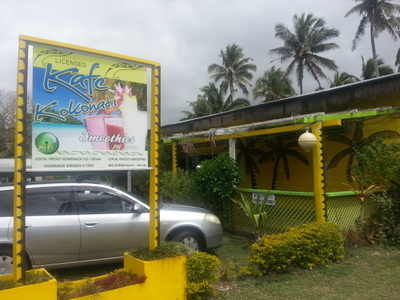 Bright Yellow you cannot miss it with good parking, a licensed bar and serves food. Opening night is THE CELEBRATION OF COOK ISLANDS FILM and begins with the National Council of Women Cinema Showcase, including the youth films, "The Island Night" which will be introduced by Writer/ Director Apii Napa is a heartfelt and honest portrayal of a young girls reality when faced with the illness of a parent and the decisions she has to make. And we close the showcase with "Snapshots from the Heart". the empowering and proud life story series also produced by the National Council of Women. To follow local creative Henry Taripo will introduce his Student short film" Blood or Water". 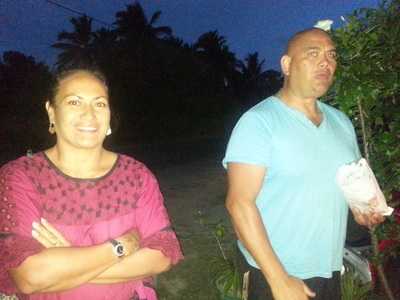 Lennie Hills film starring a variety of local actors including the talented Katu Teiti " Kia Orana" which recently was selected for Trop fest NZ and then Aitutaki's " Footsteps" will screen with a short talk from Mike Henry a strong advocate for Film and TV projects on his home Island. 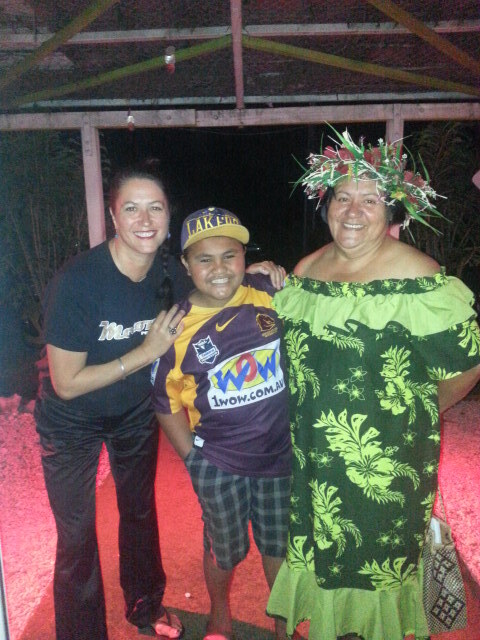 To wrap the evening up we will show the sensitively constructed gentle and warm hit from Cook Islands film maker and producer Karin Williams "Mou Piri". Our second night provides the opportunity to see films from our PACIFIC NEIGHBOURS. 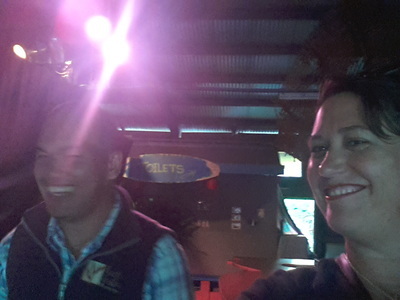 New Zealand and Tahiti have provided us with a range of films thanks to the support of the Wairoa film festival and Te Nati Film festival. " Dog On Duty" starts the evening which takes us on a hilarious journey with a scallywag character who has a life changing moment with a K9. 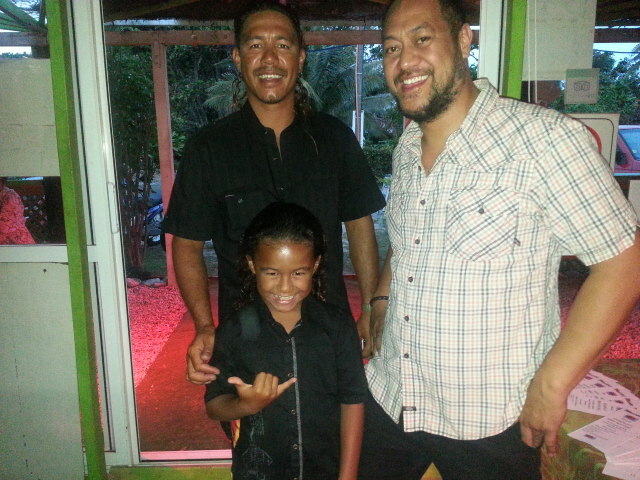 Tahitian music on tour shines in the next short with a music video from the band PEPENA. The emotive story of a young girls tail of teen pregnancy follows in the sincere " Butterflys" by Renae Maihi. Tahiti follow with a strong message that unity will protect the planet in TO OE FENUA TO TOE NATURA. To wrap up this session the closing three films take us on a journey of a again a young girls reality when confronted with a mother who has lost herself and confidence thought breast cancer in the movie directed by Briar Grace Smith "Nine of Hearts". From there we lead into the light hearted tail of a family feud on a Marae in "The Lawnmower Men of Kapu" by Libby Hakaria and wrap with the empowering " Whakatiki" - Spirit rising - truly a film that will leave you with a sense of empowerment and joy. ”. Local creative and Motone Director Maurice Newport was a member of the NZ creative team that bought this valuable commentary on life experiences as a second wave Pacific Islander living in New Zealand. Featuring candid interviews with Tana Umanaga, David Tua and other New Zealand based Pacific Islanders the documentary looks at the life and journeys of the children of the Pacific migrant workers who populated New Zealand and help to build the country. Followed by the beautiful "Songs for a Bigger Island" the story of living legend of Cook Islands music Will Crummer. This inspiring film opens and unlock doors to how much Will Crummer is not only a voice to be appreciate and respect but we also step into the world of a love between father and children.Also featuring his daughter Annie and her siblings this documentary weaves a humorous and magic story of the talents of Papa Will and his songs.